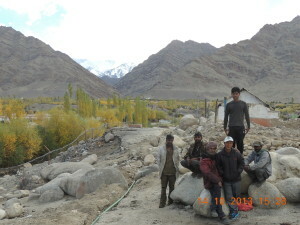 Provided potable drinking water in the draught hit villages of Himachal Pradesh. 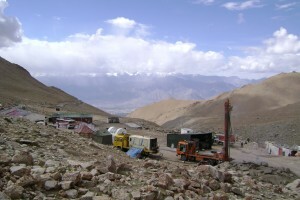 It was believed that rivers and stream of Himachal could provide potable to the people and adequate water for agriculture, but contrary to this belief villages of this mountain state were facing an acute shortage on both issues, as the streams had discharges that fluctuated from very little in summers to flood level during the monsoons and had freezing problems in winters. 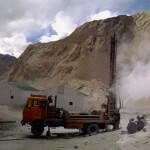 Groundwater potential was yet to be realized and works was mainly confined to the inter-mountain valley region only. Mountains in general were thought to be devoid of any significant water resources. 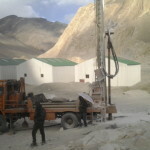 I undertook several exploratory programs in the Una, Bilaspur, Solan, Shimla and Lahual-Sipti, District of Himachal Pradesh by drilling on top of the mountains which were previously thought to be ground water deficient areas. 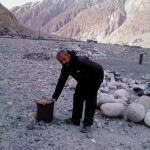 I succeeded in providing safe drinking water in more than 200 draught hit villages. Besides water was provided to several industries and building complexes, thereby improving the lot of the people. 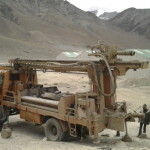 In 1994 was awarded a project sponsored by Department of Science and Technology, Himachal Pradesh to prepare a pilot project to find sustainable water solutions to solve drinking water problem in the draught hit villages of the mountain state. During this project I was able to understand the scientific basis of the movement and occurrence of groundwater in the mountains. Based on these hydrological and geological observations and borehole data from more then 6000 borewells. I was able to classify the entire Himalayas into 7 different “Hydrostratigraphic zones” which was presented in International geological Congress, 1996 held in China and later was able to understand the scientific basis of the movement and occurrence of groundwater in the mountains which helped to prepare a “Conceptual Model to explain movement of groundwater resources in Himalayas” which was widely accepted in an International groundwater congress held in Melbourne, 1998. All this data helped in preparing “Model water supply schemes” for sustainable development in the Himalayas in near future. These observations were presented by me in an International Geological Congress held in China, 1996. 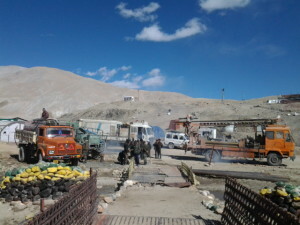 Provided safe drinking water to the Sonamling Tibetan settlement, at Choglamsar, Leh, Ladakh. Sponsored by: Water Aid, UK based, NGO run by British Royalty and . . Tibetan Government in Exile of his holiness Dalai Lama. 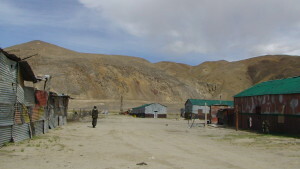 Sonamling Settlement, a habitation of about 10000 Tibetans who settled in the deserts of Choglamsar, Leh-Ladakh, after they fled Tibet, following Chinese aggression in 1959. 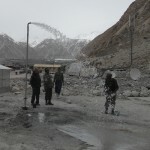 Prior of this project that is for the last 40 years there was acute shortage of drinking water. The residents had to wait throughout the day to collect a meager amount (of 5-10 liters of water per day per family) from the water tankers supplied erratically by the local government. In case of emergency they collected water from near by Water Canal, which was as good as sewerage canal and water was very unhygienic. Groundwater resources were considered to be absent as the earlier theories confined these resources only to the banks of rivers/streams. 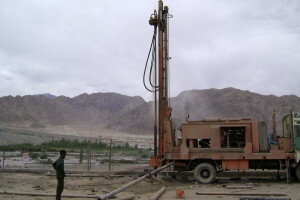 After carrying out detailed hydrogeological exploration I successfully developed the groundwater resources by drilling borewells with the help of suitable rigs. 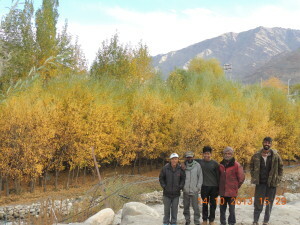 The success of the project entirely changed the scenario and people enjoyed sustainable safe drinking water throughout the year, especially in winters when temperatures drop to -30*C. This helped to increase the socio-economic status of the people as they could now think of earning their livelihood without worrying about collecting water for their families. 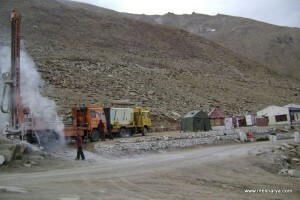 Prior to this project water was transported in water tankers after collecting the same from Shyok river. 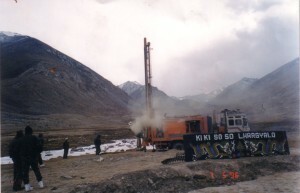 In 1998 Military Engineering Services planned a Water Supply Scheme based on tapping surface water resources and lifting the same to the station costing approx. Rs. 50 lakh. I completed this project by exploring and developing groundwater resources at an expenditure of less than Rs 20 Lakhs only, thereby saving the government approx. Rs. 30 lakhs. The scheme is running successfully. 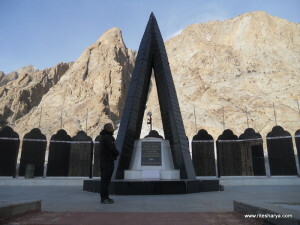 Conceptualised and executed the project to provide safe drinking water to the troops (stationed at border posts) in Siachen sector and villagers located on indo-Pak border where temperatures drop to –40oc winter. 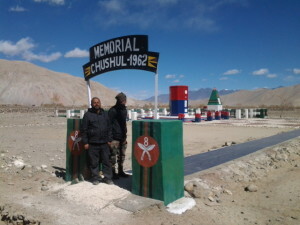 I worked on projects for Indian Army during Kargil war and post Kargil war period to provide safe drinking water throughout the year in difficult and inaccessible army posts on the border areas in Siachen Sector. 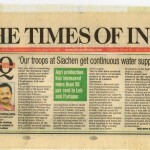 This helped to provide the basic necessity of potable water to the army and thereby boosting their morale. 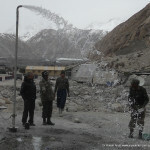 Provided safe drinking water at Army Hospital at Hunder, Base 1 and Base 4 in Siachen Glacier Sector. 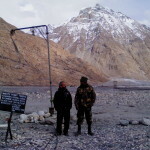 Prior to execution of this project the soldiers were forced to melt ice from the glaciers to drinking water. 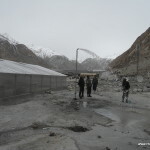 On the execution of this project safe drinking water was made available to them 24 housrs/365 days, even when outside temperature drop to –40oC. 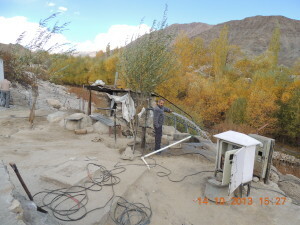 Worked in coordination with Indian Army and Local Jammu and Kashmir government in a “Sadbhwana Project” aimed at providing safe drinking water to the Border Villagers of Tyagshi, Turtuk and Bhugdong (on Indo-Pak Border) which were in Pakistan prior to 1971 war with Pakistan. This welfare project was significant to woo the villagers of the border areas and show them that the Indian Government is concerned and that they were integral part of India. 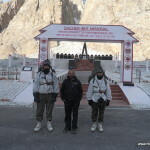 Sponsored By: Defence Research and Development Organisation (DRDO),. 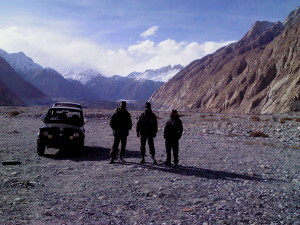 Ministry of Defence. 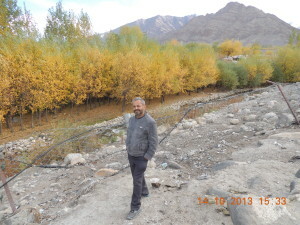 Worked in close coordination with DRDO (Defense Research and Development Organisation) and FRL (Field Research Laboratory) to explore and provide water to increase the agricultural and milk production by developing groundwater resources. 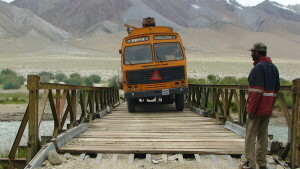 Earlier the FRL at Partapur was on the verge of closure, because of no water was available. But on my association with FRL, I started a project based on exploration and development of groundwater resources which was completed successfully and the agricultural production increased more then 50 times. 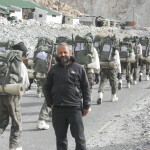 As a result of this various vegetables-fruits like tomatoes, watermelons etc were grown and supplied to Indian Army. 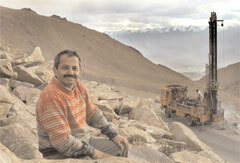 This lad the foundation stone to initiate the Green Revolution in the high attitude, cold mountain, deserts of Ladakh. Prepared water supply scheme for Indian Oil Depot and Air port Authority of India to provide safe drinking water in the area which were earlier considered to be devoid of drinking water. Prior to the conceptualization of this project the scheme to get water to the Indian Oil depot and Airport Authority of India was based on transporting drinking water with the help of water bowers and the solution was not only uneconomical but unsustainable as well. 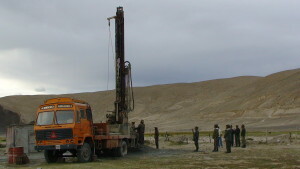 Groundwater exploration and development provided new results and both the sites today have sustainable and economical water solutions based on groundwater water development. Planned cost effective augmentation of water supply scheme (this scheme was 200 years old,) at Kasauli and Jatogh cantonment, Himachal Pradesh. Kasauli cantonment was founded by Britishers in early 19th Centaury. In early days water was supplied to the cantonment by collecting the spring water in the water tanks and lifting it by pumps to an elevation of 2000 meters. 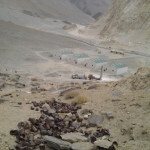 With passage of time population and water requirement increased (present civil population approx. 5000) and water sources depleted. 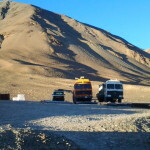 Scheme was augmented in 1965 by transporting water from river Gamber. This was a very costly venture as it involved transporting water through large distance through pumping. As a result the people are being charged at exorbitant rate of Rs. 25 for 1000 liters of water in comparison to Rs. 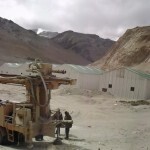 2 per 1000 liters by the Irrigation and Public Health Department at Himachal Government. I undertook the project to explore and develop groundwater resources in and around Kasauli town and initial research has shown positive results. Prior to my work Kasauli and Jatogh were considered to be devoid of significant groundwater potential. On completion of this project I shall be able to provide additional sustainable augmented water source on one hand, and bring down the heavy cost of water imposed on the consumers besides providing pure drinking water. 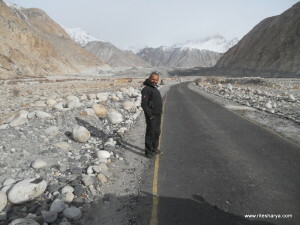 For my achievements is successfully harnessing groundwater in different terrains of Himalayas I have been invited to present the data and research findings collected during the above projects in various national and International conferences in India and abroad.